John Henry Towers was a United States Navy admiral and pioneer naval aviator. 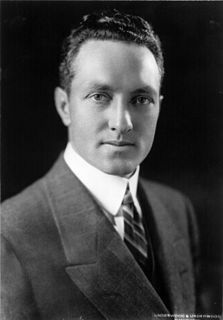 He made important contributions to the technical and organizational development of naval aviation from its beginnings, eventually serving as Chief of the Bureau of Aeronautics (1939–1942). He commanded carrier task forces during World War II, and retired in December 1947. He and Marc Mitscher were the only early Naval Aviation pioneers to survive the hazards of early flight to remain with naval aviation throughout their careers. 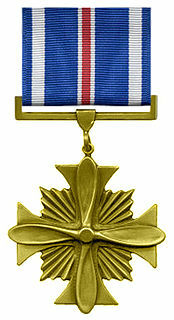 He was the first naval aviator to achieve flag rank and was the most senior advocate for naval aviation during a time when the Navy was dominated by battleship admirals. Towers spent his last years supporting aeronautical research and advising the aviation industry. Forrest Percival Sherman was an admiral in the United States Navy and the youngest person to serve as Chief of Naval Operations until Admiral Elmo Zumwalt in 1970. The Forrest Sherman-class destroyer was named for him. Alexandra Mountains is a group of low, separated mountains in the north portion of Edward VII Peninsula, just southwest of Sulzberger Bay in Marie Byrd Land, Antarctica. Discovered in January–February 1902 by the British National Antarctic Expedition during an exploratory cruise of the Discovery along the Ross Ice Shelf. Named for Alexandra, then Queen of the United Kingdom. William Evans "Bill" Gortney is a retired United States Navy admiral who most recently served as the sixth commander of U.S. Northern Command and the 23rd commander of North American Aerospace Defense Command (NORAD). He previously served as the Commander, U.S. Fleet Forces Command from September 14, 2012 to December 2014 and Director of the Joint Staff from July 1, 2010 to August 2012. Prior to that, he served as Commander, U.S. Naval Forces Central Command/5th Fleet. He assumed his post as CDRUSNORTHCOM and commander of NORAD on December 5, 2014, and was succeeded by USAF General Lori Robinson on May 13, 2016. The Dufek Coast is that portion of the coast along the southwest margin of the Ross Ice Shelf between Airdrop Peak on the east side of the Beardmore Glacier and Morris Peak on the east side of Liv Glacier. 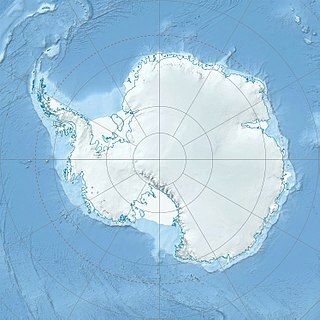 It was named by the New Zealand Antarctic Place-Names Committee in 1961 after Rear Admiral George J. Dufek, United States Navy, who served under Rear Admiral Richard E. Byrd with the United States Antarctic Service, 1939–41, and as commander of the Eastern Task Force of U.S. Navy Operation Highjump, 1946–47. He was Commander of U.S. 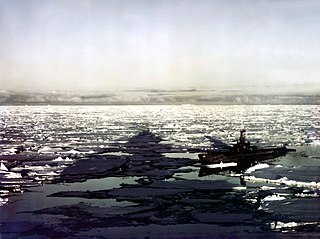 Naval Support Force Antarctica, 1954–59, a period in which the following American science stations were established: McMurdo Station, Little America V, Byrd Station, South Pole Station, Wilkes Station, Hallett Station and Ellsworth Station. United States Navy ships, aircraft, and personnel under his command provided broad logistical support to research and survey operations, including aerial photographic missions to virtually all sectors of Antarctica. On October 31, 1956, Dufek in the ski-equipped R4D Skytrain aircraft Que Sera Sera, flew from McMurdo Sound via Beardmore Glacier to make the first airplane landing at the South Pole. Air Development Squadron Six was a United States Navy Air Development Squadron based at McMurdo Station, Antarctica. Established at Naval Air Station Patuxent River, Maryland on 17 January 1955, the squadron's mission was to conduct operations in support of Operation Deep Freeze, the operational component of the United States Antarctic Program. 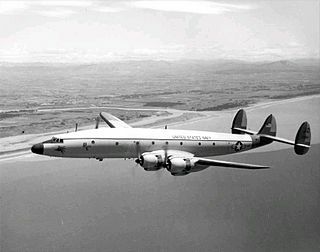 Antarctic Development Squadron Six was a United States Navy Air Test and Evaluation Squadron based Naval Air Station Point Mugu, California with forward operating bases at Christchurch, New Zealand and McMurdo Station, Antarctica.